Carbon fiber composites are lightweight, high strength structures created by embedding carbon fiber into a supporting material, known as a matrix. By combining materials, manufacturers can produce parts with both the strength and stiffness of the carbon fiber and the durability and versatility of the matrix material, typically a type of plastic resin. Different types of carbon fiber and matrices exist, each with varying properties making them suitable for a range of uses. The carbon fiber-based composite materials industry has experienced rapid growth in the past decade, with global carbon fiber production capacity estimated to have quadrupled.1 The bulk of this increase has resulted from increased commercial and industrial uses for carbon fiber, with the share of sales to the defense sector having fallen from an estimated 28 percent in 1991 to less than 4 percent in 2015 By 2020, the defense share of the carbon fiber composite market is estimated to be less than 2 percent, as defense growth slows and commercial and industrial uses of carbon fiber continue to expand rapidly. A number of distinct crystalline forms Carbon. Carbon has some properties, which are derived from their unique structures. The two most notable allotropes of carbon, each containing an infinite network, are diamond and graphite. These two solids share the same chemistry (carbon) but possess different structures and properties. For example, diamond is the hardest known material, while graphite is extremely soft. Diamond is the perfect atomic crystal of a giant molecule. It is comprised of sp3 hybridized carbon atoms joined by four strong covalent bonds (each 0.154 nm long) with complete electron pairs, as typically found in covalent molecules. The other four carbon atoms point toward the corners of a regular tetrahedron to form a strongly bonded covalent structure. Diamond has three major crystal forms: cubic (100 plane), dodecahedral (110 plane), and octahedral forms (111 plane) Graphite is a layered structure with hexagonally arranged carbon atoms in a planar condensed ring system. It has three 0.1415-nm-long strong bonds within the layer that are sp2 hybridized with one electron capable of taking on a dual role, i.e., formation of coplanar and inter planar bonding. These distributions are called “π” and “σ” distributions, respectively. The graphite layers are weakly bonded through van der Waal forces. In 1985, a new true carbon form having both sp2 and sp3 hybridizations was discovered and was named “fullerenes”. In addition, there are fibrous forms of carbon such as pyrolytic graphite, glass-like carbon, graphite whiskers, vapor-grown carbon fibers (VGCF) and catalytic chemical vapor-deposited filaments, and carbon fibers. Some other forms of carbon are carbon black, charcoal, coal, coke, and soot. Finally, the newer forms of carbon are fullerenes, carbon nanotubes, and graphene. Cotton and bamboo fibers were earliest material which carbon fibers was used in them. In 1879, Thomas Alva Edison, for the first time, used carbon fiber filaments (testing materials) in his early incandescent light bulb experiments, which used electricity to heat a thin strip of material, called a filament, until it glowed. Later, carbon fibers were discovered in 1880, and he patented the use of carbon fibers as filament materials for his electric lamp. Also, he might have created the first commercial carbon fibers. The carbon fibers that Edison made using the natural bamboo fibers or cotton threads were fire resistant, making them ideal for his early incandescent filaments. Cotton and bamboo mostly consist of cellulose, a natural linear polymer composed of repeating units of glucose. When heated, the filament carbonized in the absence of air in a heated gas furnace and then formed a true carbon copy of the starting materials with exact sizes or shapes. Meanwhile, the use of carbon filaments for electric lamps was relatively short-lived; tungsten wire soon displaced these carbon filaments. However, the carbon filaments were in use on US Navy ships as late as 1960 because they withstood ship vibrations better than tungsten. Edison used Carbon fiber fabric in development of the electric light for the first time, and that paved the way for the use of more efficient and durable materials within a few years. In particular, the fibrous nature turned out to be of great importance for structural developments in the aerospace and automotive fields. It was expected that the carbon fibers would substitute glass fibers in several fields, including transportation, building construction, marine, electrical and thermal insulation, and industrial products. Carbon fibers reinforcement, was used since the 1960s when it revealed that the carbon fibers, which contributed significantly to the strength and stiffness of structural products, could be developed. To creation rayon and poly acrylonitrile (PAN), during World War, carbon fiber wrap was investigated. Two manufacturing processes high-strength and high-modulus carbon fibers from rayon and PAN precursor fibers were simultaneously developed in 1959 and 1962, respectively. In 1963, the pitch-derived carbon fibers, with high-modulus properties, were invented. Until now, many precursor materials such as polyesters, poly amides, polyvinyl alcohol, poly vinylidene, poly-p-phenylene, and phenolic resins have been investigated for manufacturing carbon fibers. The invention of carbon filaments by Edison paved the way for the oriented process, which was developed nearly a century later to produce the carbon fibers from synthetic fibers. There is a difference between the fibers, which were heat-treated over the range 1,000–1,500 °C, called carbon fibers, and those heat-treated above 2,000 °C, called graphite fibers. 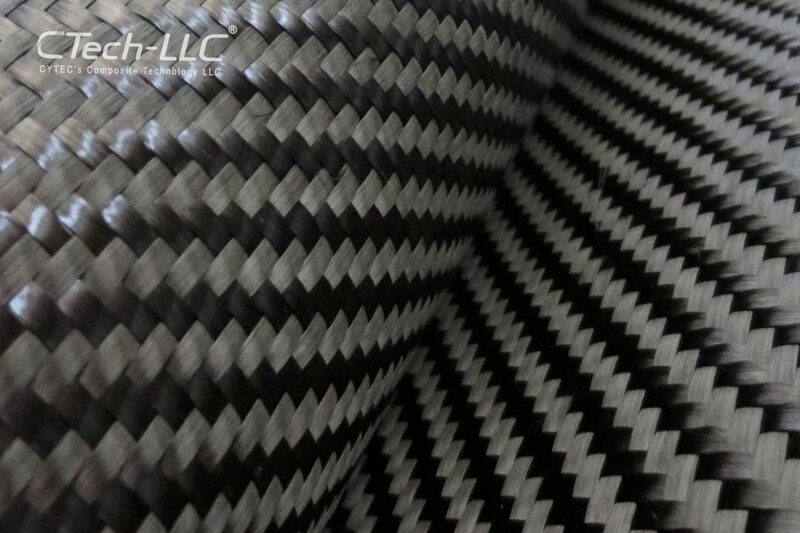 The proportion of graphite in carbon fiber wrap could range from 0 to 100 %. When the proportion was above 99 %, the fibers were called graphite fibers. Generally, carbon fibers are widely defined as fibers containing at least 92 and up to 100 wt.% carbon. Moreover, carbon fibers are polycrystalline, and usually in the non graphitic stage. They possess a two-dimensional long-range order of carbon atoms in planar hexagonal networks, but without any measurable crystallographic order in the third direction (z-direction) apart from more or less parallel stacking. On the other hand, a graphite whisker (or carbon whisker) is a single crystal with the carbon layer rolled up like a scroll. Because of the single crystal nature, graphite whiskers are virtually flaw-free and have exceptionally high strength. However, The production yield of graphite whiskers is too low to be commercially significant. There are many variate applications, which used carbon fiber wrap as a crucial material. The play a crucial role in a of specialized such as aerospace, automobiles, chemical industry, general engineering, missiles, nuclear energy, reinforcement in composite materials, and textiles, owing to their inherent properties, including high strength and stiffness, dimensional stability, low coefficient of thermal expansion, biological compatibility, and fatigue resistance. Some unique characteristics will also describe later. Carbon fibers have been classified on the basis of the fiber structure and degree of crystallite orientation: ultrahigh-modulus (UHM), high-modulus (HM), intermediate-modulus (IM), high-tensile-strength (HT), and isotropic carbon fiber wrap. The UHM and HM carbon fibers are highly graphitized and characterized by a high modulus. The UHM carbon fibers are characterized with a modulus greater than 500 GPa, while the HM carbon fibers are characterized with a modulus greater than 300 GPa and a strength-to-modulus ratio of less than 1 %. Some carbon fibers such as HT at minor temperatures, have little modulus to the heat treatment high strength. The IM carbon fibers have a modulus of up to 300 GPa and a strength-to-modulus ratio of >1 × 10−2. The HT carbon fibers are characterized with strength greater than 3 GPa and a strength-to-modulus ratio lying between 1.5 and 2 × 10−2. Finally, the isotropic carbon fiber wrap or fabric show a random orientation of the crystallites and possess a modulus as low as 100 GPa combined with low strength. Their main advantage is low cost. Carbon fibers are manufactured from synthetic fibers (precursor fibers) through heating and stretching treatments. The processing of carbon fibers from different precursors requires different conditions to obtain the satisfactory quality products. The essential features are similar. The processing paths for various precursors are similar at the macro level. In addition, the precursor materials of the carbon fiber wrap are important because the combination of various properties and behaviors (mechanical, physical, and chemical) on the carbon fibers depends on strongly on the starting precursor materials. 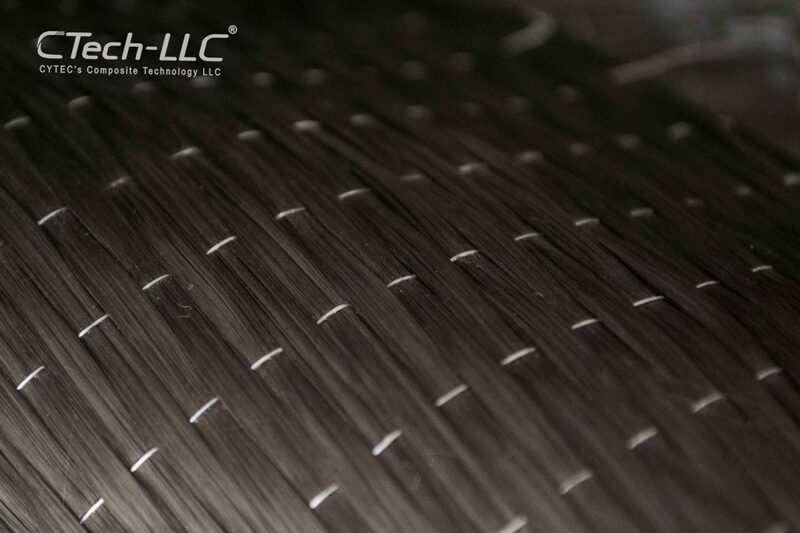 Carbon fibers are synthesized through a controlled pyrolysis of the stabilized precursor fibers. The precursor fibers were first stabilized and stretched over the temperature range 200–400 °C in air using an oxidization process (thermoset treatment), which strongly depended on the natural chemistry of the precursor. Then, in the carbonization process, the stabilized fibers were subjected to high temperatures over the range 800–1,600 °C in an oxygen-free environment to remove non carbon impurities, including hydrogen, oxygen, nitrogen, and other non-carbon elements. Further, the carbonized fibers were graphitized using a graphitization process involving higher temperatures of up to 3,000 °C, which stretched the fibers resulting in 50–100 % elongation. The stretching of fibers ensured a preferred crystalline orientation, which resulted in the desired modulus being higher than those of carbonized fibers are. The properties of the resultant carbon fibers were relevant to their crystallinity, crystalline distribution, carbon content, molecular orientation, and the proportion of defects. Finally, the surface treatment processes and epoxy sizing of carbon fibers, i.e., post treatment processes, were performed to enhance their adhesion to the composite matrices. Common predecessors for the carbon fibers the polyacrylonitrile (PAN), pitch, and rayon. In case of the PAN fibers, the stretching of the coiled macromolecule in the direction of the polymer chain was parallel to the fiber axis and the subsequent transformation of the linear molecule into a ladder polymer was observed. The PAN-based precursor fibers are usually fabricated using the conventional spinning technique such as wet spinning. They must be converted to a form which is flameproof and stable at the high temperatures involved in carbonization. Consequently, before carbonization, they are stabilized in the case of the PAN precursor in an oxidizing atmosphere. In the case of the pitch fibers, the preferred orientation was realized by the spinning process of the liquid crystals in the pitch (melt spinning and melt blowing methods), which consisted of poly aromatic molecules, in a direction parallel to that of the fibers. The step in the pitch process, involving the introduction of the structurally preferable orientation of the planar molecules, has to be combined with chemical treatment to conserve the resulting carbonaceous defect structure during all the subsequent heat treatment processes. Since the last 100 years, it is well known in the graphite industry what type of thermally stable defect structures form by the carbonization of thermosetting polymers. On the other hand, nonstable defect structures, i.e., well-graphitizing cokes, could be achieved by the carbonization of carbon–hydrogen compounds in a fluid state. From these general rules, it is believed that the PAN-based precursor fibers prepared by the cyclization of PAN polymers must yield either non graphitizing carbon or carbon fibers with a thermally stable, defective structure. In contrast, the anisotropic pitch based carbon fibers possess the ideal preconditions for good graphitization. This capability of the anisotropic pitch must be destroyed before carbonization by forced oxidation and cross-linking reactions. isotropic and anisotropic pitches (mesosphere pitch) are the pitch predecessors based on their optical characteristics. On the basis of their mechanical properties, pitch-based carbon fibers can be further classified into high performance (HP) carbon fibers (HP-carbon fibers) and general-purpose carbon fibers (GP-carbon fibers). The isotropic pitch forms an isotropic carbon fiber wrap, which belongs to the category of GP-carbon fibers, whereas the anisotropic pitch forms HP-carbon fibers, wherein the carbon layers are preferentially parallel to the fiber axis. The pitch is usually derived as a by-product from either coal- or petroleum-based chemistry. The pitch from petroleum is preferred because the coal pitch is difficult to clean owing to natural inclusions as defect-sensitive particles. In contrast to the PAN-based precursors, the pitch is a low molecular weight material. In addition, the synthetic pitch could be produced from the synthetic polymers such as polyvinyl chloride (PVC) and naphthalene. one resource has reported the molten pyrolysis product of PVC for manufacturing carbon fibers. This method suggested the possibility of utilizing tar pitches from oil refinery and coal pyrolysis processes as new precursors for carbon fibers. Today, pitch-based carbon fibers have been introduced in the market. Rayon-based carbon fibers are obtained from the rayon precursor fibers using chemical pretreatments and carbonization. These are isotropic carbon fibers and can be transformed into anisotropic carbon fibers with high strength and stiffness by stretching at temperatures above 2,500 °C. However, all glyosidic bonds generate volatile carbon dioxide during pyrolysis. It is difficult to avoid the fracture of the bimolecular unit of the polymer in the volatile ether glucoses. Mass loss from the polymer structure at different stages of pyrolysis causes an enormous amount of shrinkage, resulting in a low carbon yield of <30 %. Consequently, an extremely porous carbon residue with low density is formed. It is well known that there are primarily three types of precursor materials of commercial significance, as previously mentioned, PAN, pitch, and rayon. Although the worldwide production of carbon fibers has increased rapidly, the prohibitive cost of carbon fiber production and high demand limit the widespread use of carbon fibers. The overall challenge is the combination of precursor cost, yield, processing cost, and similar factors. In addition, carbon fibers have been previously manufactured from lignin. Lignin-based carbon fibers such as Kaya carbon were first developed and made commercially available by Nippon Kayaku Co. on a pilot scale. The process involved carbonization of dry-spun fibers from lignin dissolved in an alkali solution containing poly(vinyl alcohol) as a plasticizer. Short carbon fibers are being rapidly developed through preparation in the vapor of hydrocarbon atmosphere with low molecular weight compounds, including acetylene and ethylene. This process involves catalytic growth using solid catalyst particles (Fe, Co, and other transition metals) to form carbon filaments, which could be as small as 0.1 μm in diameter. They consist of graphitizable carbon and could be transformed into graphite fibers by heat treatments above 2,500 °C. Then, subsequent chemical vapor deposition from the carbonaceous gas in the same chamber caused the filaments to grow in diameter, resulting in vapor-grown carbon fibers (VGCFs) or gas-phase-grown carbon fibers. Commercial Availability Carbon fibers could alternatively be classified on the basis of their commercial availability, namely GP-, HP-, and activated carbon fibers (ACF). The GP-carbon fibers have low tensile strength, low tensile modulus, and low cost because of their amorphous and isotropic structures. The greatest advantage of these carbon fibers is their low cost. The short GP-pitch-based carbon fibers are used in the reinforcement of concrete because it is easy to use in large quantities. The GP-carbon fibers are also used for thermal insulation, sealing materials, electrically conducting materials, antistatic materials, heating elements, filters, fraction materials, sorbents, and catalysts. The HP-carbon fibers are characterized by high strength and modulus in comparison with the GP-carbon fibers. Among the HP-carbon fibers, a higher modulus is associated with a higher proportion of graphite and more anisotropy. The HP-carbon fibers are widely used in polymer–matrix composites for aircraft, which are lightweight for the purpose of saving fuel. Nearly 90 % of the structure of the aircraft, Voyager, is made of such composites. In 1986, the Voyager successfully performed a nonstop, unfueled, round-the-world flight. The use of such composites in passenger aircraft is rapidly rising. The HP-carbon fibers are also used in carbon–matrix composites for high-temperature aerospace applications such as the Space Shuttle, as the carbon matrix is more temperature resistant compared to a polymer matrix. These fibers are now used in metal matrices such as aluminum for aerospace applications as aluminum is more temperature resistant compared to polymers. For the adsorption of gas or liquid, ACFs is a suitable material because of having large surface area and micro pore volume. Compared to the conventional granular or powder activated carbons, ACFs have been widely used in the separation, purification, and catalytic processes owing to their extended specific surface area, high adsorption capacity, highly porous structure, and special surface reactivity. ACFs have been used not only as reducing agents by themselves but also as catalyst supports for removing pollutants such as NOx, SOx, NH3, and even HCl. Also, the microstructure of ACFs is created during the activation and is affected by many factors such as the degree of activation and carbonization conditions. The adsorption/desorption rate of carbonaceous adsorbents is greatly dependent on not only microporous structures but also surface properties. Carbon wrap generally have excellent tensile properties, low densities, and high thermal and chemical stabilities in the absence of oxidizing agents, good thermal and electrical conductivities, and excellent creep resistance. They have been extensively used in composites in the form of woven textiles, prepress, continuous fibers/ravings, and chopped fibers. The composite parts could be produced through filament winding, tape winding, pultrusion, compression molding, vacuum bagging, liquid molding, and injection molding. Several techniques, including wide- and small-angle X-ray diffraction, electron diffraction, transmission, scamming and surface replica electron microscopy, and optical microscopy, have been investigated for the structure of carbon wrap. From these techniques, valuable information about the various micro and macro aspects of the fiber structure has been provided continually hitherto such as qualitative and quantitative information about several structural parameters, including crystallite size and orientation, stack height and width, shape and size of pores, and presence of three-dimensional order. Here, we will briefly summarize the unique structures of carbon fibers as discovered using X-ray diffraction and electron microscopy, which are the simplest and most effective techniques for the elucidation and foundational understanding of the basic science of structure in carbon fibers. Carbon fibers could be either short or continuous. In addition, the structure of carbon fibers could be crystalline, amorphous, or partly crystalline. The atomic structure of a carbon fiber is similar to that of graphite wherein the c-direction distance between the layer planes is 3.35 Å (d-spacing, d(002)) and consists of carbon atom layers arranged in a regular hexagonal pattern . It has a high modulus, 0.18–0.35 GPa; however, in humid atmosphere, its shear strength is weak along the a-axis. Sp2 organized The crystal structure of carbon wrap and it hybridized carbon atoms arranged two-dimensionally in a honeycomb structure in the x–y plane with van der Waals forces, which are stacked parallel to one another in a regular fashion. In the graphite layer, the carbon atoms are bonded covalently and through metallic bonds owing to the overlap of the sp2 hybridized orbital and delocalization of the pz orbitals (the π electrons), respectively. The good electrical and thermal conductivity of graphite are attributable to the delocalization in the x–y plane. Turbostratic layers organized the carbon wrap structure. In this structure, the distance between the parallel graphene sheets is greater than that in graphite. The basic structural unit could either irregularly or haphazardly split, tilt, twist, fold, and join other basic structural units to form micro domains. These micro domains could also split, tilt, twist, fold, and join each other in carbon fibers. Thus, the structure of carbon wrap is not homogeneous. It has been reported that the irregular stacking and presence of sp3 bonding could increase the d-spacing to 3.44 A. At the next level of organization, i.e., from one to a few hundred nm, a micro texture is observed. It is defined by micro domains which consist of assemblies of molecules with a long-range orientation order. These micro domains are elongated along the fiber-axis direction, up to several μm, and limited laterally by pores and wedge declinations. The descriptive “micro” is used here to specify this level of organization. The characteristics of the basic structural unit and micro texture are determined using a combination of wide-angle X-ray scattering (WAXS), small-angle X-ray scattering (SAXS), selected area diffraction (SAD) by transmission electron microscopy (TEM), and use of bright and dark-field imaging in the TEM. The last level of organization defines the fibers’ texture. It reflects the changing statistical orientation of the molecules at a very long range. The texture is readily observed in the SEM and could be deduced through the optical microscope studies with the acid of reflected polarized light.